The education pack was presented to school teachers during a workshop on Friday, 11 April 2014, at the Voroklini Community Council building. The aim of the workshop was to present and provide guidelines to eduactors on how to use the education pack produced as part of the LIFE Oroklini project. The workshop also presented the Natura 2000 network and its importance for biodiversity. The education pack "Education material for Oroklini Lake" is aimed at primary school pupils (6 - 12 year old) to raise awareness on the importance of Orokini Lake as well as other conservation issues. 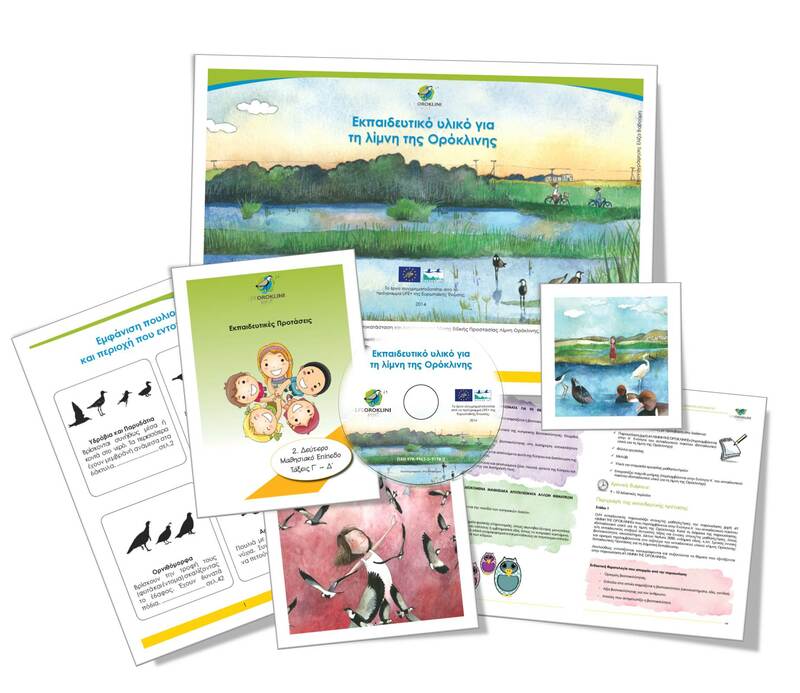 The material included in the education pack (story, games, worksheets) are linked with the Curriculum of Environmental Education for Sustainable Development which officially applies in primary education and can also be applied in natural environments like Oroklini Lake. The education pack aims to give the opportunity to teachers and pupils to gain knowledge, experience and skills on Oroklini Lake and its wildlife. The education pack can be found under 'Deliverables' here (please scroll down for the Education pack). Please note that the education material is available in Greek only.